Last month, we had National Women’s Health Week. 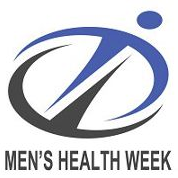 For the month of June there is Men’s Health Week, designed to encourage men to make their health a priority. The Center for Disease Control and Prevention (CDC) has many tips for men to improve their health, and we at NeedyMeds have resources for a number of conditions that predominantly affect men. The CDC offers many ways to observe National Men’s Health Week, such as taking a bike ride, aim to eat healthier, or quit unhealthy habits. Men can improve their health by getting a good night’s sleep, quitting tobacco and avoiding second-hand smoke, being more active in daily life, eating healthier, and managing stress. Being aware of your own health is important as well. Be sure to see your doctor for regular check-ups and get tested for diseases and conditions that may not have symptoms until there is an imminent health risk. Testicular and prostate cancers are easily detected with regular checks. For men over 45 years of age, the most common causes of death are heart disease and cancer. Heart health is important for men and women of all ages and cancer can affect different parts of the body, including those that may appear atypical—1% of breast cancer diagnoses are found in men, and transgender men are at risk for ovarian or cervical cancer. For men younger than 45, the most common causes of death are accidental injuries and suicide. As with heart health, mental health is important to people of all ages and gender. If you or someone you know are experiencing despair or suicidal feelings, call or text Samaritans at 877-870-HOPE (4673) any time if you need help. NeedyMeds has information for many programs and clinics that offer assistance to men in need. There are several organizations offering varying kinds of assistance to men with prostate cancer and other diagnoses in our Diagnosis-Based Assistance area of our website. There are also free or low-cost clinics that offer men’s health services. Search your local area on our website and look for “Men’s Health” listed with Services. For more help finding information, call our toll-free helpline Monday-Friday 9am-5pm Eastern Time at 1-800-503-6897.